In the heart of northeast Iowa’s dairy country, the Dairy Center sits on a hilltop just outside of Calmar, Iowa. Together the Dairy Center and Dairy Foundation work to offer education, demonstrations and research to foster the growth and prosperity of families making dairy farming their way of life. Iowa’s Dairy Center is not only a working farm, but also a tourism facility where you can learn about modern dairy farming. 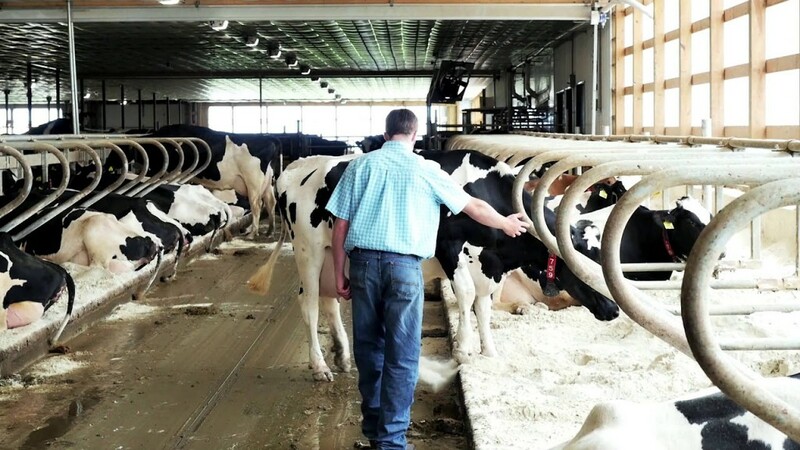 Your groups will see the milking parlor, robotic milking system, freestall barn for the housing of cows, transition barn for calving, calf barn, and Iowa’s Dairy Museum. You can even make and enjoy your very own homemade ice cream by request! Inside Iowa’s Dairy Museum your groups will find a collection of dairy memorabilia, including early tools of the dairying trade that teach past-to-present lessons on Iowa’s dairy industry. The display features collections of milk bottles, butter presses, breed magazines and much more, including the original pieces of the Iowa Holstein Museum. For more information or to book your group tour, contact Iowa’s Dairy Center at 866-474-4692 or visit them online at www.iowadairycenter.com. Tours offered weekdays and Saturdays at 12:30pm. Book yours today!